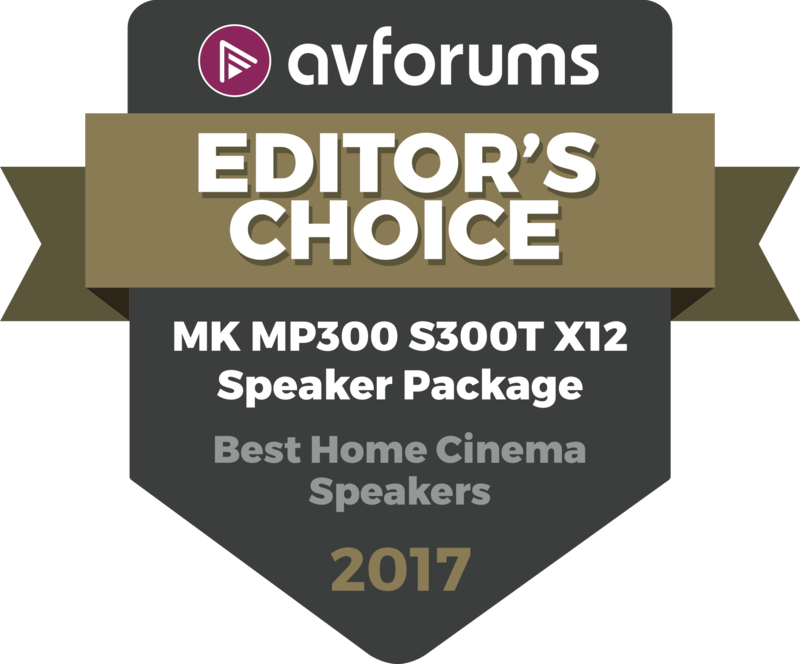 From the very beginning, M&K Sound has been the only speaker company to produce satellite and subwoofer systems exclusively, the optimum configuration for film and music with deep bass isolated in its own enclosure so that it cannot interfere with the upper frequency range. 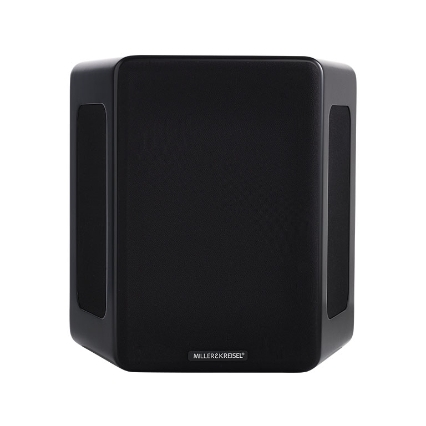 Combined with M&K Sound X Series subwoofers, the S300 Series possesses the transparency, speed and resolution that let the most critical audio professionals hear exactly what’s going on in the mix and allow them to listen for hours on end with no hint of fatigue. M&K Sound’s seamless, integrated feel from top to bottom immerses you in sound with exceptional handling of dynamic changes in pace and volume. Your final choice of X Series subwoofer model will naturally depend on many factors including design, room size, preferred listening levels, musical and cinematic tastes and, of course, exactly how dedicated you are to the quest for ultimate audio realism. Music and movies are brought to life with incredible accuracy and detail, along with stunning dynamics. 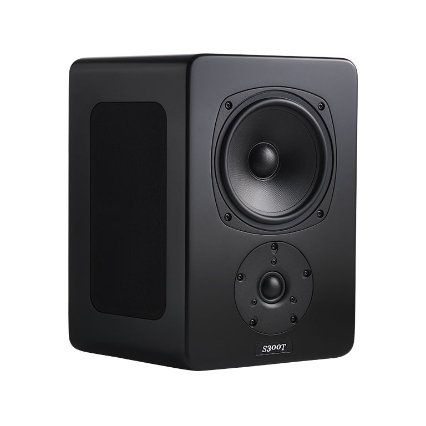 The soundstage is massive with amazing depth and outstanding cohesion and envelopment, mixed with frighteningly fast transitional changes in volume and dynamics. It never gets tiring to listen to this system and it doesn’t take tens of thousands of pounds in amplification to get the best out of it either, with even modest AVRs able to drive this sub/sat system. The iconic front baffle layout of the famed S150 monitor with its triple-tweeter array alongside dual woofers is also an integral aspect of the design and performance of the S300. 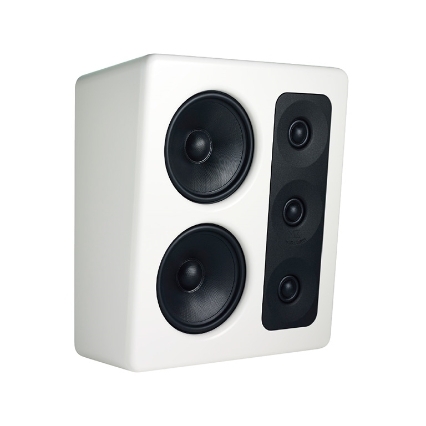 The S300 Series introduces specially designed separate tweeter and woofer mounting brackets for exceptional mechanical isolation from the cabinet and a tight connection between the die-cast, custom made brackets and the front baffle. All drivers are rear mounted to the brackets and the brackets are rear-mounted to the baffle for an elegant front with no unsightly screws and no reflective edges near the drivers. This effectively eliminates a major source of colorations in more conventional, less conscientiously designed loudspeakers. M&K Sound invented the tripole speaker configuration to do what no conventional monopole loudspeaker can do. 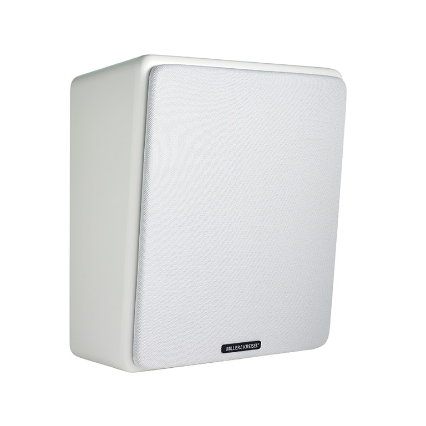 The installation of side and/or rear mounted S300T’s enhances the solidity and pin-point placement of rear channel events such as fly-overs, voices, effects, music etc., as well as the realism of the ambient soundfi eld. 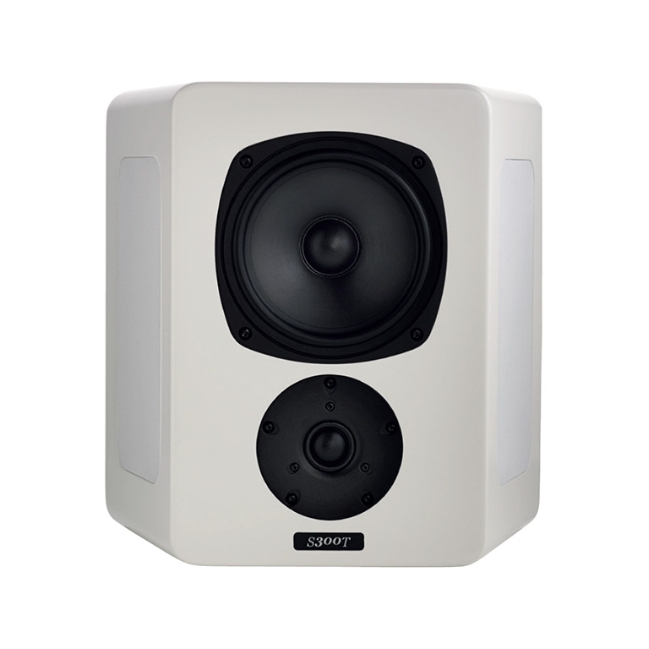 The S300T tripole with integral wall-mount bracket, employs the same front drivers and crossover technology as the S300, for a perfect acoustic match. Independent, isolated side chambers house two 4” drivers per side for optimal surround coverage that rivals the huge array of speakers required in movie theaters. 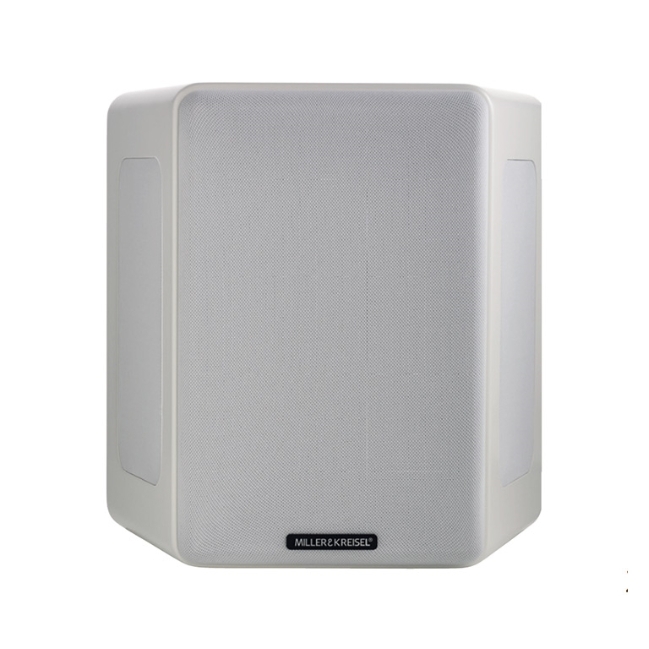 Recognizing a growing demand for a high level of audio performance from an unobtrusive, decorator-friendly enclosure, M&K Sound offers a shallower, wall-mount version of the S300. 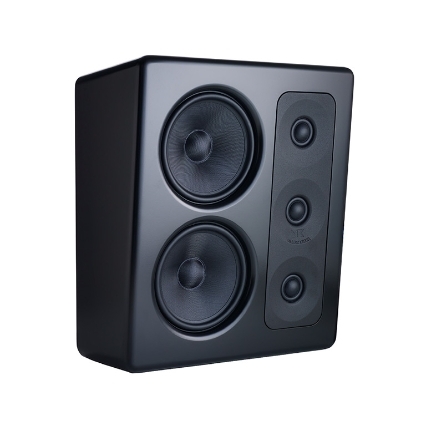 By significally reducing the cabinet depth and revising the overall dimensions, M&K Sound has created a discrete on-wall monitor that retains the audio quality of a full-size compact loudspeaker. 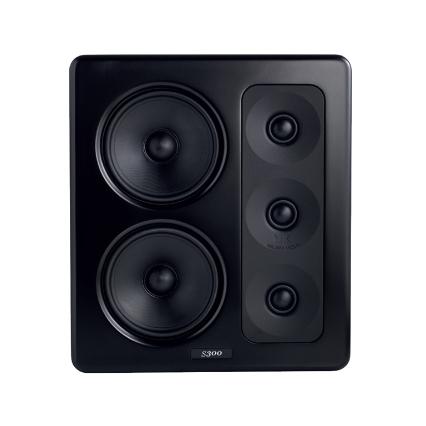 By optimizing crossover and utilizing the effect of wall mounting the MP300 is a true member of the S300 family. 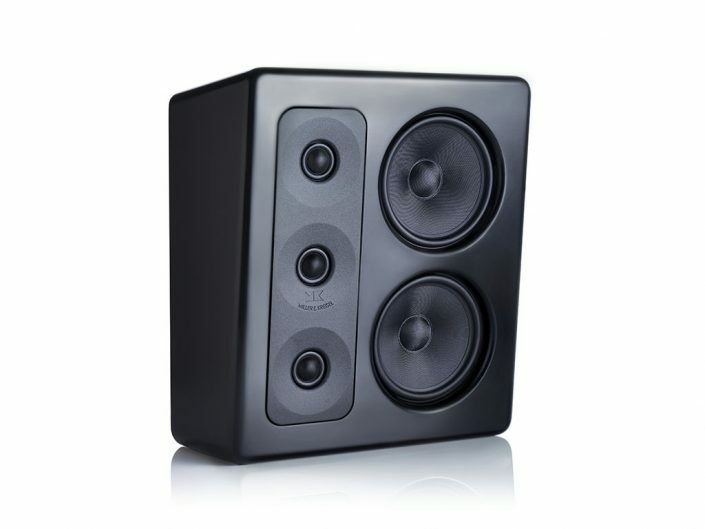 The modest dimensions and extended placement options of the MPS300 will appeal to the style-conscious music/movie lover. 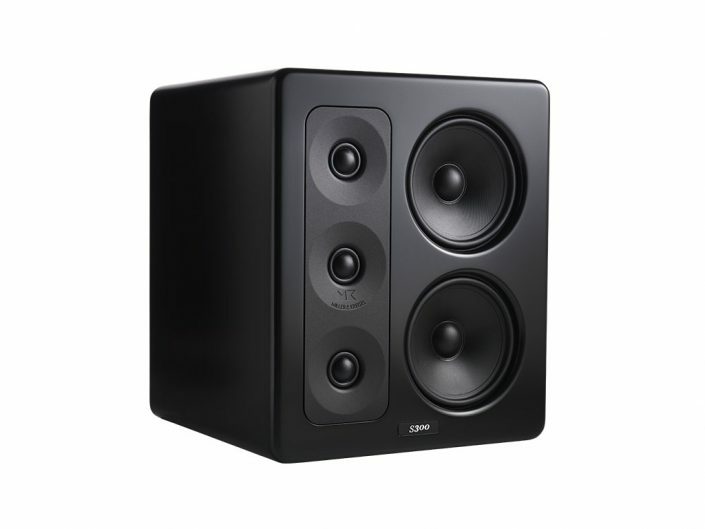 array alongside dual woofers is also an integral aspect of the design and performance of the S300. All drivers are rear mounted to the brackets and the brackets are rear-mounted to the baffl e for an elegant front with no unsightly screws and no refl ective edges near the drivers. This effectively eliminates a major source of colorations in more conventional, less conscientiously designed loudspeakers. 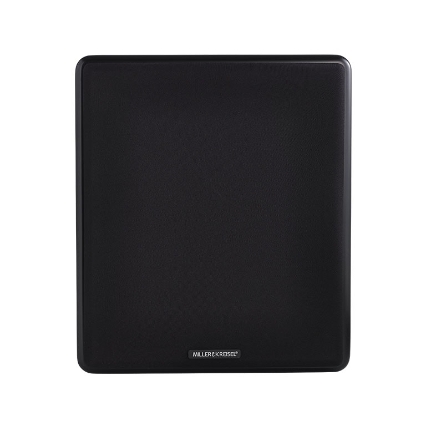 The S300 Series introduces a specially designed tweeter array mounting flange with integrated waveguide. 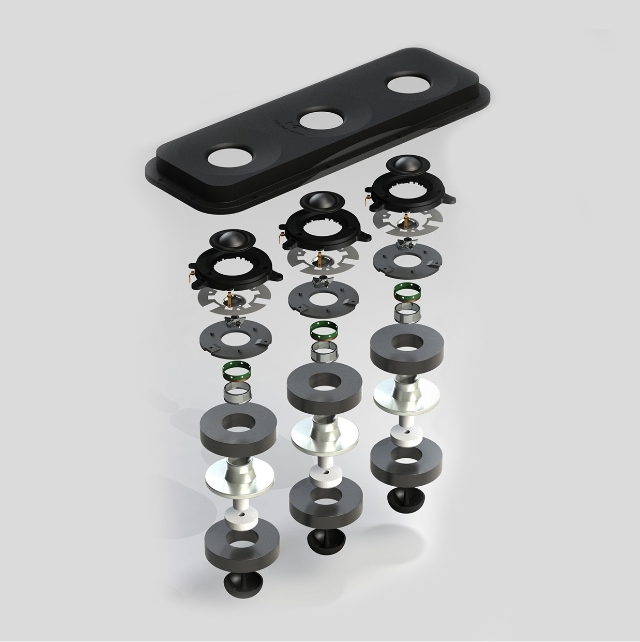 flange provides exceptional mechanical isolation from the cabinet. 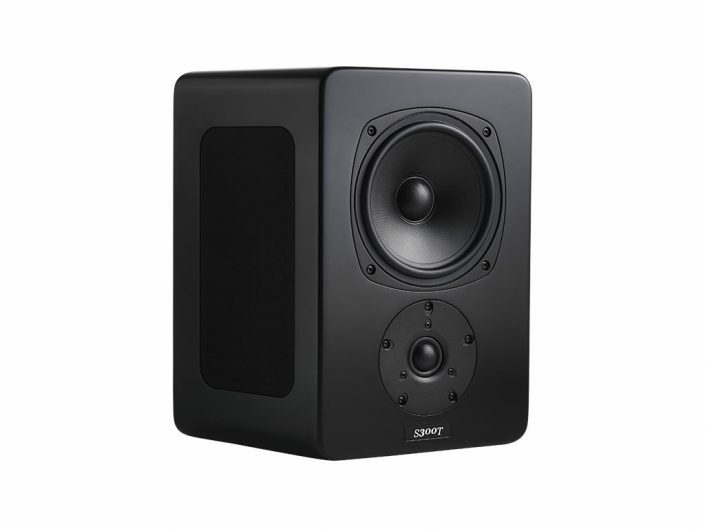 The solid steel woofer mounting bracket ensures a tightly sealed connection to the inside of the front baffle. 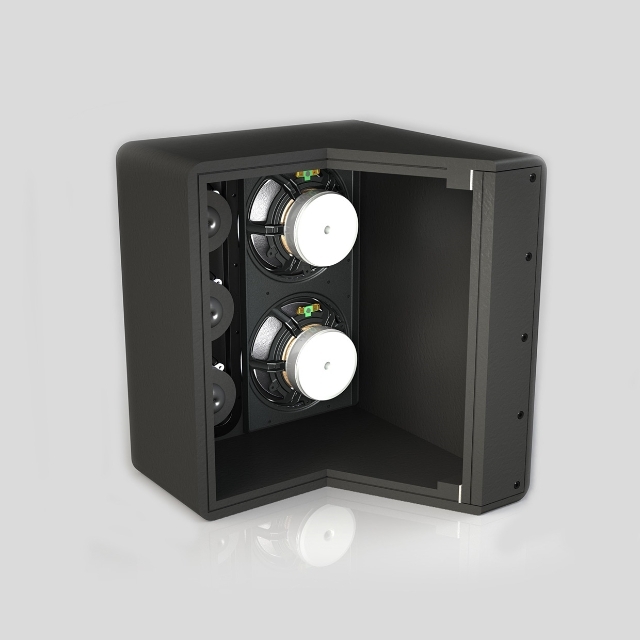 The S300 Series employs a complex, box-inside-a-box construction with a non-resonant layer of tar joining the two cabinets to provide constrained layer damping. 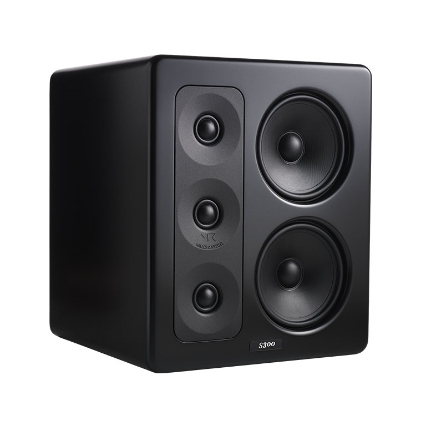 The S300 Series cabinet construction and specially designed drive units lower the mechanical noise floor drastically, bringing music and movies to life with effortless realism, building on a rock-solid foundation. During recent years, sound has reached new dimensions. New audio formats, high definition sound combined with the requirements of our critical professional users, have led us to the allnew state of the art S300 Series. The S300 Series is built to perfection and in order to ensure our unique high level of quality, we have decided to have the whole range designed, developed, built and tested in Denmark. The system has been thoroughly analyzed and calibrated by M&K Sound engineers to reach new and higher levels for tonal accuracy and musicality. innovation and multiple patents for breakthroughs in every aspect of driver design. 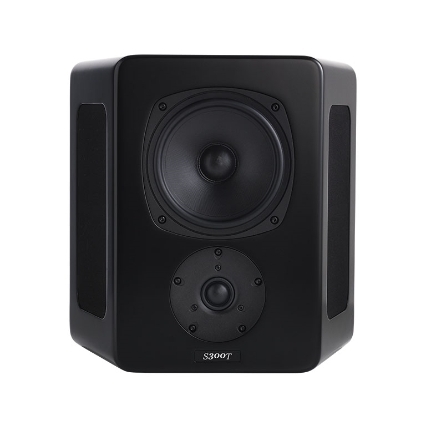 The S300 Series utilize Scan-Speak drivers to achieve extreme power linearity and ultimate sound quality for control, performance, reliability and continuity.